Medical errors impact far more patients than once predicted. According to a new study, they are the third leading cause of death in the United States, right behind cancer and heart disease. The study, which was published by the Leapfrog Group in their Hospital Safety Score, predicts that as many as 440,000 patient deaths are attributable to preventable medical errors annually. The new findings dwarf the estimates presented in the groundbreaking Institute of Medicine Report, entitled “To Err is Human: Building a Safer Health System.” The 2000 study, which first called the public’s attention to the serious risk of medical errors, predicted that preventable mistakes contributed to 98,000 patient deaths in U.S. hospitals each year. The latest figures highlight that health professionals do not always make us better. In some cases, patients can suffer greater harm. Common examples of medical malpractice include surgical errors, misdiagnosis, treatment delays and medication mistakes. Medical malpractice actions are often costly and complex. 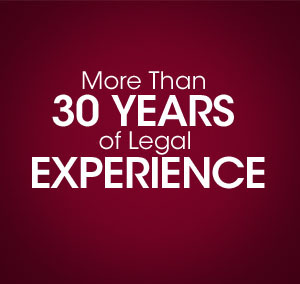 With more than 30 years of experience, the Law Offices of Timothy H. Hankins has the knowledge and resources needed to successfully pursue the compensation you deserve. We accept malpractice cases on a contingency fee basis, which means you pay no attorney’s fee until we win.